Copyright, I881, by Wm. J. A. Lieder. Words by O. Stansill. Music by J. Schwenseck. There is a fair one living near. I don't mind telling you. And when she turned and smiled on me how happy I did seem. While strolling through the grove, by this lovely little stream. My heart kept going pit-a-pat, I scarce knew what I said. 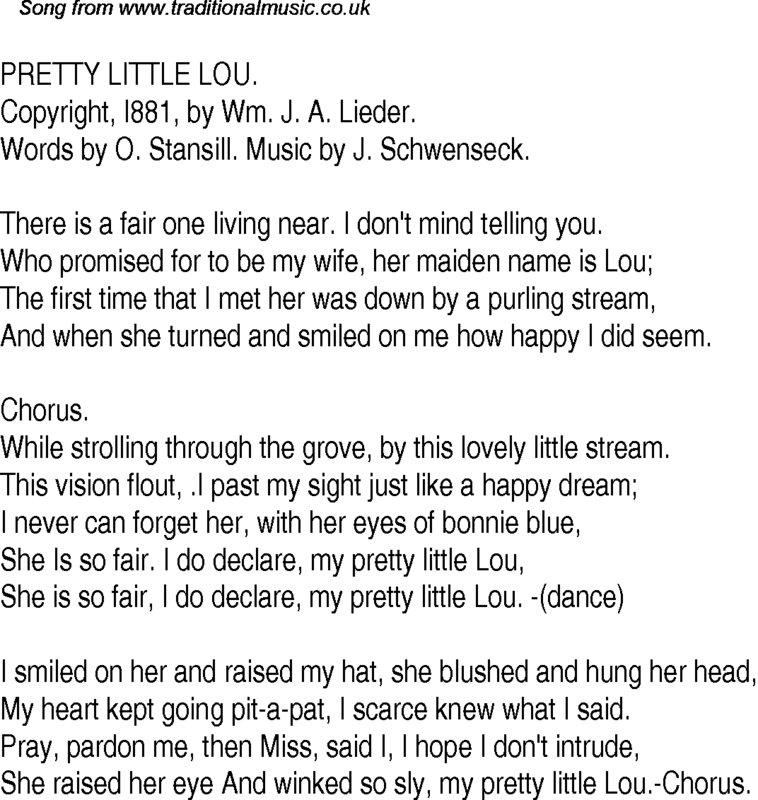 She raised her eye And winked so sly, my pretty little Lou.-Chorus.